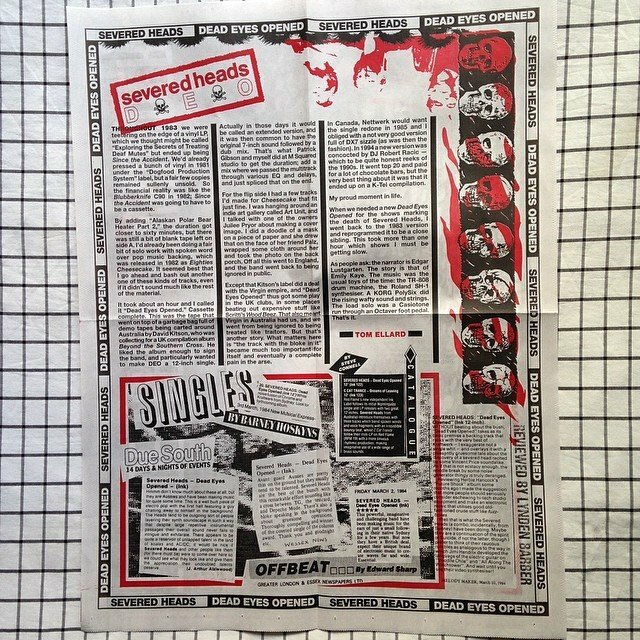 Severed Heads are one of the longest surviving bands to emerge from the Australian post-punk independent music scene. They began in Sydney in 1979, incorporating elements of 'industrial' noise-generation, tape cutting & looping and electronic sound synthesis. 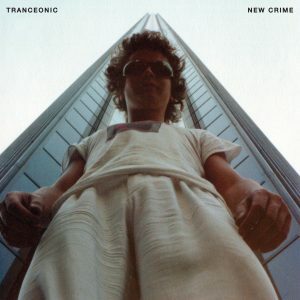 As the project developed song-structures and vocals were employed in a more-or-less recognizable mutant electro pop style. 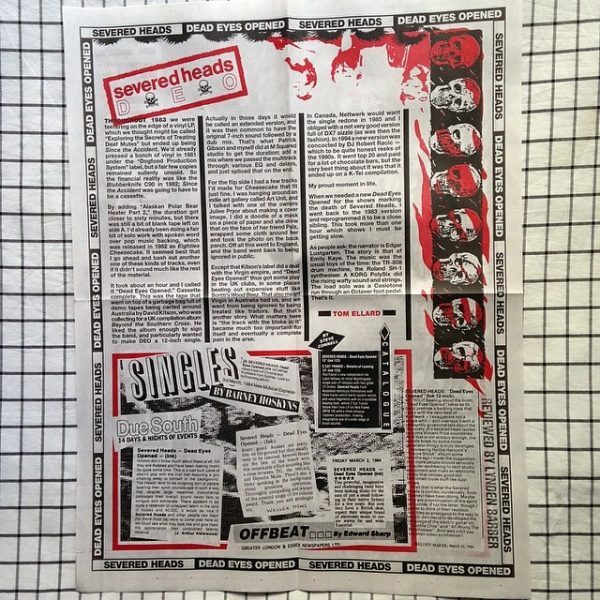 After many line-up changes featuring Gary Bradbury and psychedelic guitarist Simon Knuckey, Severed Heads was the vehicle for composer Tom Ellard. By 1983 they released a C-60 cassette called “Since The Accident” that grabbed the attention of Ink Records, a subsidiary of Virgin in the UK. Ellard added a throwaway track at the last minute to fill out the cassette, not wanting to leave an unseemly gap on a C60 tape. This track, “Dead Eyes Opened” was catchy enough to get a lot of airplay on the main non-commercial radio station in Sydney. 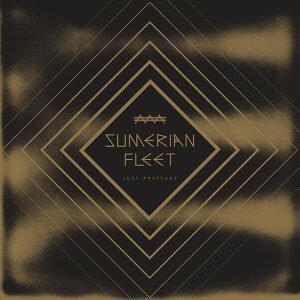 The band was asked to make this song into a 12” single. For this extended version, Tom Ellard and producer Patrick Gibson went to M Squared studio and passed the multitrack through various EQ and delays. “Dead Eyes Opened” features lyrics from a radio program narrated by Edgar Lustgarten, a crime journalist from England. They reference an actual double murder case that occurred in 1924 calling to mind the gruesome imagery of Hannibal Lecter. The rhythms are made by a TR-808 drum machine and an SH-1 synthesizer. A KORG PolySix did the rising wafty sound and strings. The lead solo was a Casiotone run through an Octaver foot pedal. 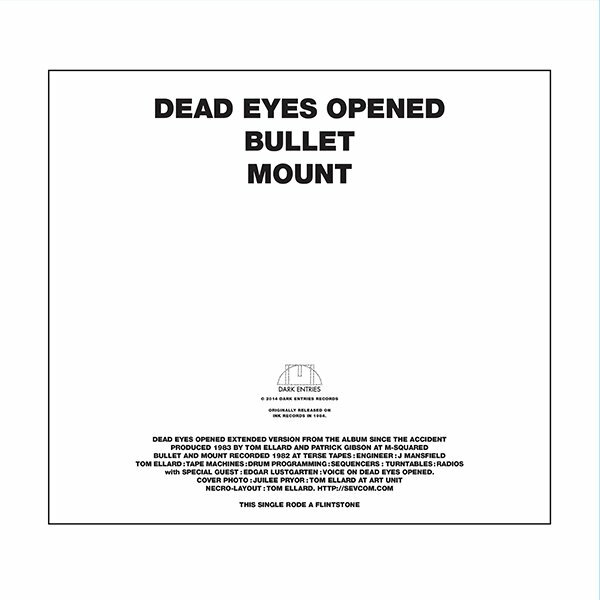 On the B-side are two solo compositions “Bullet” and “Mount” that Ellard recorded at Terse Tapes in 1982. All songs are remastered for vinyl by George Horn at Fantasy Studios in Berkeley. Housed in the original jacket featuring the iconic photograph of a girl with a painted face wrapped in some cloth by Juilee Pryor. Each copy includes a fold-out newsprint poster with a large photo of the band wearing Art Unit skull shirts on one side and liner notes and press clippings on the other. 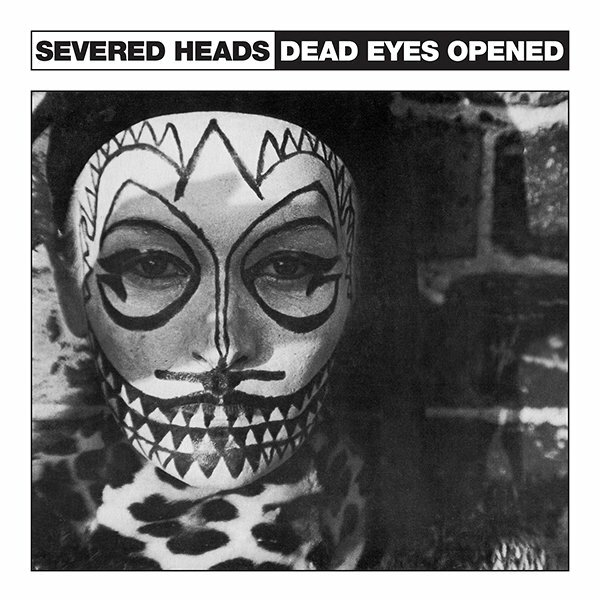 30 years later Severed Heads are still paving the way for powerful imaginative challenging music far and wide.